I am saddened to see so many bloggers and sites quote facts they have not checked, mention studies they have not read and perpetuate myths and wrong ideas that way. In our world of instant results, we often overlook the credibility of what we read and the credibility of the people writing. Anyone can publish anything and claim to be something they are not. Unfortunately, parents read such articles and run to forums panicked about X and Y or further spread ill-conceived ideas. Let's take an example. 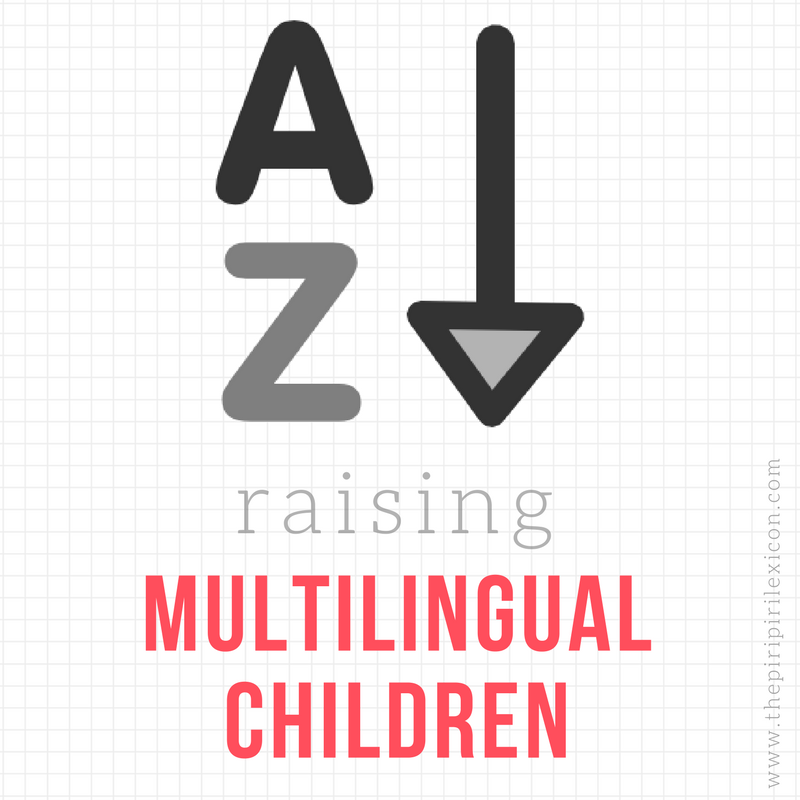 An example, I know something about: raising multilingual children. Again and again, bilingualism research hits the headlines with articles picked up by newspapers with a clear political agenda. 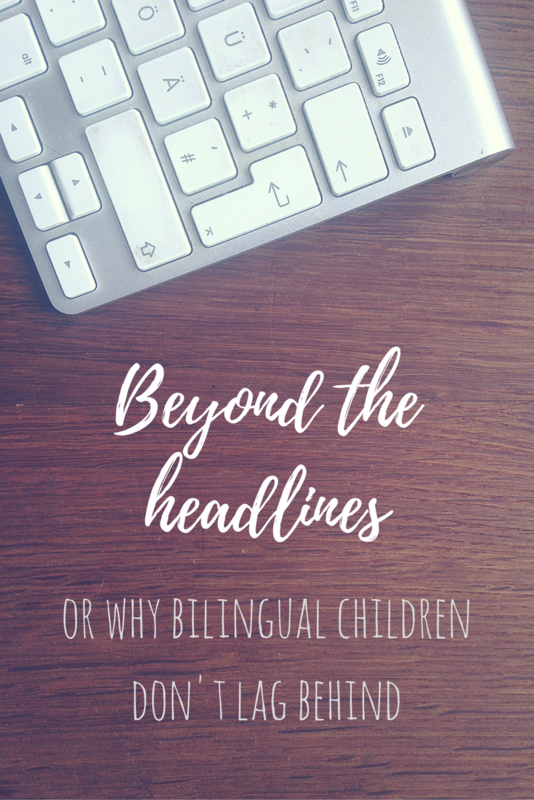 A few months back, an article claiming that bilingual children who are being raised in Scotland with English and another language have a smaller vocabulary (in English) than monolingual children (before the age of 5). 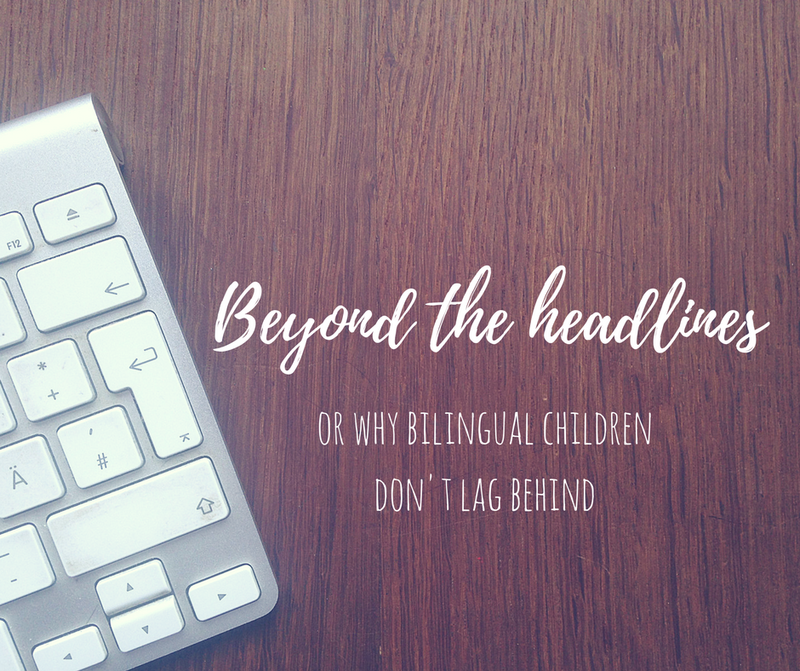 Many in the bilingualism community expressed dismay at the headlines. Parents read and worried. Personally, I was shocked. How can people still write this kind of things? It is like we are back to 1980s when research on the topic was in its infancy, when bilingualism was not that common and we knew little about it. The article was published in the Telegraph. Enough said. Their political agenda was clear. But it was also reposted on an academic research online journal, this time written by the researcher herself! - The research is written by someone who has no background in linguistics. You don't need one to write and carry out decent research but it usually helps. The author of the research is an economics academic and should therefore stick to economics and not linguistic analyses.It clearly states so on her profile, so you don't need to dig deep to find that out. - The research did not look at the children's second language. Everyone in the field knows this is a big no-no these days. This is acknowledged in the original article by the researcher “Firstly, these measures are not ideal for assessing performance of bilingual children.” (p11) but then is simply ignored. To me, as a former researcher in language acquisition myself, if you do not have data in two languages, you cannot draw any conclusions. Full stop. No data. No research. And more importantly, no claim about language delay or language of any kind. How can these children be tested only in English when they are 3 years old and may have only heard the minority language at home (as they might not attend any childcare facility yet)? - Naming tasks involve more than vocabulary. The claim that multilingual children are delayed before age 5 is based on a naming task. The child is asked to name “in English coloured pictures from a booklet he is shown one at a time”. Naming tasks are good measure of future literacy skills, but they are criticised because they also assess a wide range of cognitive skills. - There is very little linguistic background and relevant studies in the draft article (available online). - The research has not been published as far as I can tell (for good reasons) in any serious lingusitics journal. It usually means there are some serious flaws with it. - Finally, sentences found in the paper, like “programmes that help assimilation”, scared me! Other research has found that actually, from very early on, bilingual children have a comparable vocabulary to monolinguals (when taking into account all of their languages). This was certainly the case in the research I carried out myself. And if you would like to claim my own credentials, and you should, they are here.